On the site of a former quarry, Nicholas Grimshaw's project consists of eight interlinked domes of varying sizes lining the foot of a cliff. Optimum conditions for photosynthesis are provided by a lightweight solution that doesn't cast deep shadows. Unlike traditional greenhouses the design uses panels that are made of two layers of plastic instead of heavier glass. Tubular steel hexagons join up to create the frame of each dome. 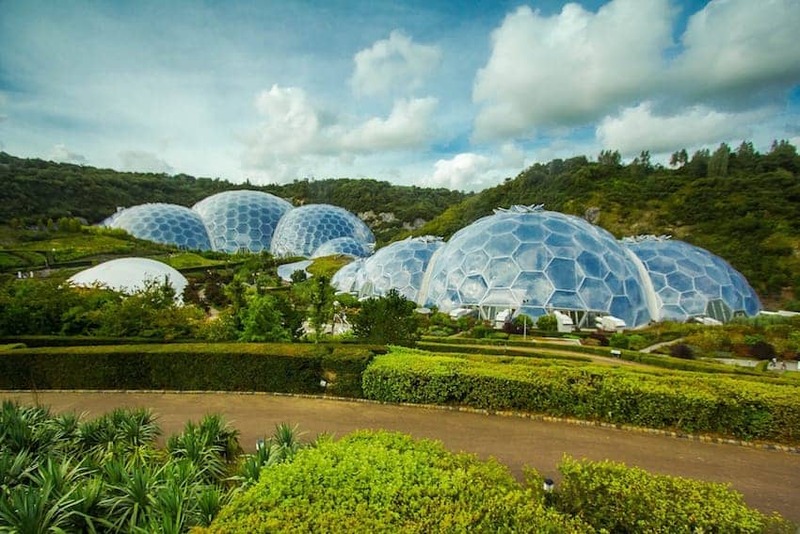 Today there are around one million visitors a year to this 2.2 hectare site of space for growing plants in rainforest and Mediterranean conditions.